The online tube amplifier store brings these two popular Line Magnetic products for customers to purchase them at affordable prices. Besides, they have several other LM products in their portfolio. China-hifi-Audio is well known to update its products, so that customers can shop for the latest musical electronics online at reasonable prices. The online store has quality products from all leading brands. They have recently added two new Line Magnetic Products in their stock, which customers would love to purchase for their best music listening experience. The LM products are already popular among music lovers, and this could be an opportunity for them to buy these new LM tube amplifiers online. According to the spokesperson of the online store, one of these products is the Line Magnetic 219ia, which is a single ended tube integrated amplifier. This Class A tube amplifier is available at an affordable price with free shipping. With a shipping weight of 60Kg, the product is available in black and silver colors. This integrated amplifier is also a power amplifier and comes with a tube cage cover and a remote control. The amplifier features a point-to-point hand welding and uses two high-power EI power transformers. The spokesperson reveals that its preamplifier part uses 12AX7*2 vacuum tubes while the power amplifier part uses two 845 vacuum tubes. This unique combination of vacuum tubes proves useful in the single-ended power amplification. The hifi amplifier can deliver soft, smooth and pure sound for a user to enjoy the music. 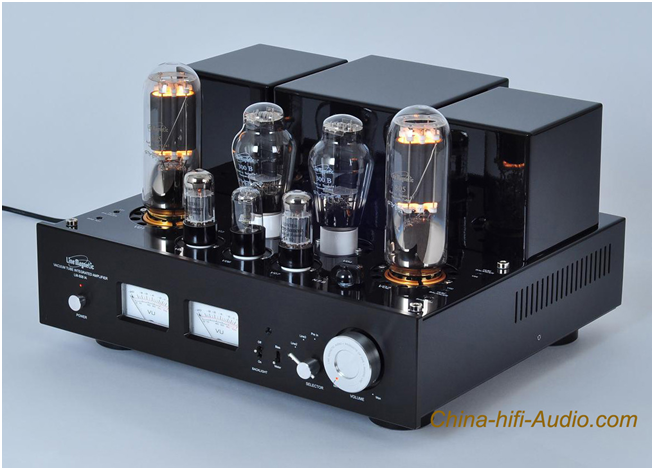 Another important LM product to make its way to their stock is the Line Magnetic 508ia tube amplifier. This class A and single ended amplifier comes with a remote control with volume control and quiet functions. It also comes with a tube cage cover and can operate on 220V to 240V voltage range. This integrated amplifier is a power amplifier as well and now comes with a more dignified black panel. With 805 output high power tubes, the power amp adopts an audio grade for single-ended power amplification. Users can use a variety of tube brands and models to listen to the different types of rhymes. The amplifier features a totally handmade construction and uses high quality German N-cap coupling capacitance. The high pressure power supply and the preheating function of the filament extend the life of the amplifier. Besides these two new products, China-hifi-Audio already has dozens of LM products in its stock. For example, they have 100% brand new LM-216IA KT88 x4 hi-fi tube integrated amplifier that can deliver two different kinds of sounds. The spokesperson maintains that most of the LM amplifiers feature point-to-point handmade welding and are available with a tube cage cover and a remote control. The specially designed EI power transformers give enough power for the amplifiers to perform with an optimum level of power. To know more about these LM amplifiers and their features, one can visit the website https://www.china-hifi-audio.com.